2. 10m up, 10m on angle. 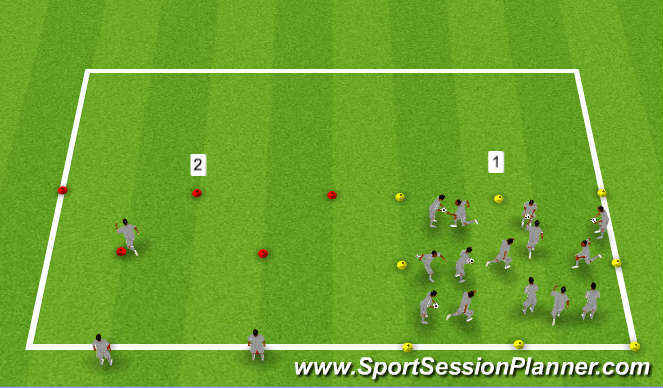 General movements around grid, passing ball by hands. Exaggerate change of pace to start with, then keep it at full pace.